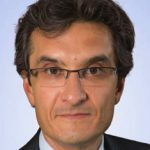 Arturo Bris is Professor of Finance at Swiss business school, IMD as well as the director of the IMD World Competitiveness Center. He is also a research fellow at Yale School of Management’s International Center for Finance and at the European Corporate Governance Institute. From 2009-2014 Professor Bris directed IMD’s flagship Advanced Strategic Management program. He has acted as consultant to businesses focusing on international aspects of financial regulation, shorting, insider trading, and acquisitions and merger legislation as well as the effects of bankruptcy. He is also renowned for his research into the effects of the euro on commercial sectors and into the valuation impacts of contemporary changes in corporate governance. His most recent research investigates the relationship between income inequality, social mobility and national competitiveness. He is now developing a competitiveness-based investment portfolio based upon tracking the best and worst global economies. The work of Professor Bris is published in the Journal of Finance, Journal of Financial Economics, Review of Financial Studies, Journal of Legal Studies, and Journal of Business, among many others. His latest book, Blockchange! examines blockchain, crypto-currencies and the risks and opportunities inherent in crypto-economies. Today Arturo lectures around the world on issues around fintech and financial and technical innovation. Professor Bris is amongst the hundred most read financial academic writers in the world today. Arturo Bris is a Specialist Speakers exclusive speaker.